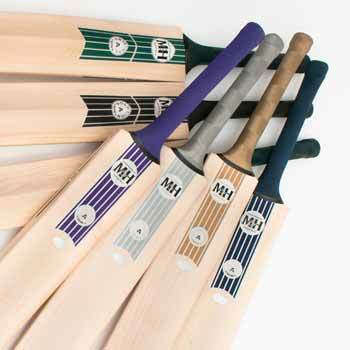 Great Cricket Gift Ideas with Greatest Gifts. Lovely personalised cricket gifts to delight any fan as well as some interesting books about cricket and also containing fascinating old newspaper articles. We have a nice range of cricket gift ideas which includes great books about cricket. These archive books contain some fantastic information about the game going back around 100 years and contain newspaper articles from the past. Cricket is one of many games introduced to the world by Britain. Dating back for certain at least 500 years, this sport is still very popular in many countries around the world. Games resembling cricket, one called "creag" and sometimes played by Royalty, can be documented back even further to as early as 1301. The word cricket is thought to be from the Old English word "cricc" or "cryce" meaning crutch or staff. One of the first written references to the game comes from a 1598 court case which stated that "creckett" was being played in Guildford, Surrey in the year 1550. The 17th century brought great growth in the game's popularity in South East England. The 18th century seen even more success of the game and it then became the national sport of England. These days the historical home of cricket is Marylebone Cricket Club (MCC) but it was originally Hambledon that was the premier club. This was from the 1760's and lasted for around 20 years until MCC with its Lords Old Ground established itself as the new number one club. New laws appeared near the end of the 18th century which included the three-stump wicket and the LBW, (leg before wicket), rule. Overarm bowling became the norm in the 19th century and many county clubs were also formed in the 19th century leading to the official County Championship in 1890. The British Empire was mainly responsible for spreading the game around the world leading to the first international match being played between Canada and the United States of America in 1844. One of the original superstars of cricket was William Gilbert (W.G.) Grace who really did grace the field and was a phenomenal player of the game. A fantastic all round sportsman, he also played football for Wolverhampton Wanderers FC. He had a marvellous cricket career spanning 44 years of top class sport and is a true legend of a great game.